Albany is New York’s capital and is the heart of the Albany-Schenectady-Troy metro area, which is the third most populated metro region in the state of New York, as well as the 38th most popular metro area in the entirety of the United States. Albany is approximately 150 miles to the north of New York City and is located along the west bank of the Hudson River. The city had a population of close to 100,000 as of the most recent census and Albany is considered to be both the economic and cultural core of New York State’s capital district. If you live in this thriving city, you need to make sure you have prepared for a bright future — and also planned ahead in case of tragedy. Albany, New York elder law attorneys can provide the help and support you need to make plans for whatever life sends your way. We can work with you to make a plan for retirement, end of life issues, incapacity, and your legacy. Our goal is to help you ensure you can take care of yourself and your family by making effective use of legal tools and protections. 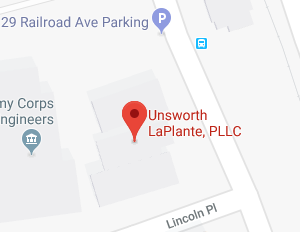 When you are ready to get help addressing important issues to you and your loved ones, reach out to Unsworth LaPlante, PLC for the legal advocacy you need to make the best choices possible to achieve your goals. You can also read on to find out about some key resources available to you that will help you to take advantage of benefits and maintain your quality of life even as you age. The Department for Aging in Albany County: The Albany County Department for Aging provides programs, services, and benefits for Albany residents age 60 or over. Find out about transportation, meal services, and more. The County Department for Aging aims to help you remain connected to your community, make new social connections, remain independent, and take advantage of supports put in place for seniors. The New York State Office for the Aging: The New York State Office for the Aging helps you to find local offices where you can get personalized assistance. There are links to many different kinds of programs and services seniors may be interested in, including health insurance coverage. You can find out about scams to look out for, housing options for seniors, preventative health benefits and more. 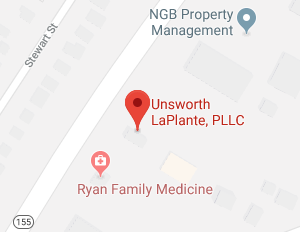 Unsworth LaPlante, PLC will also help you to explore other resources and programs that may be available, and can help you to qualify for valuable and important benefits – such as Medicaid coverage for nursing home care – which may have stringent qualifying requirements. Unsworth LaPlante, PLC also provides assistance in preparing an estate plan that will allow you to minimize the amount of assets that must transfer to heirs or beneficiaries during the probate process. While most assets do transfer through probate, the probate process can be costly, time-consuming and stressful so many people create an estate plan to avoid probate entirely. If your loved one has died, however, it may be necessary to go to probate court. This may also be necessary if someone you love has become incapacitated without an incapacity plan and you need to get a guardian or conservator named. If you must go to probate court in Albany, because you’re within Albany County, you’ll be going to the Surrogate’s Court for the Third Judicial District. The Surrogate’s Court has jurisdiction over all estate matters. The Surrogate’s Court is located in the County Courthouse in Albany. The address is 16 Eagle Street, Room 123 in Albany, NY 12207. To call the court, you can dial 518-285-8237. While the court is closed on state holidays, it is generally open from 9:00 to 5:00 PM Monday through Friday. As you grow older, it also becomes important to consider what would happen if you need nursing home care. Nursing home care isn’t typically paid for by Medicare except in limited situations where skilled nursing care is needed. This means you may need to either pay privately for your care — which is very expensive – or you may need to make a plan to qualify for means-tested Medicaid. The website of the New York State Department of Health: This website has detailed links providing information on all different aspects of the Medicaid program. This includes important phone numbers to call, qualifying requirements for getting benefits, and details on the different kinds of Medicaid services available. The Medicare website explaining skilled nursing care: This website will provide you with details about the circumstances under which Medicare might provide coverage for your care. If and when Medicare considers the care you require custodial care instead of skilled nursing care, you will receive no coverage at all. Unsworth LaPlante, PLC helps you to make a plan to protect assets so you can qualify for Medicaid’s nursing home coverage without having to impoverish yourself first. Unsworth LaPlante, PLC does not just help with making a Medicaid plan; we help you address all of the issues that matter to you as you get older. To find out all of the ways our Albany, New York elder law attorneys can help you, join us for a free seminar. You can also give us a call at (802) 879-7133 or contact us online to get personalized assistance making your plans for the future. Give us a call today to learn more.